After a lengthy illness-related break, Crystal Viper released their long-awaited sixth album “Queen Of The Witches” in February of last year. After surviving illness frontwoman Marta Gabriel seems to have a veritable boost in creativity. In June, the band around the pretty Polish woman after, took another stab with their EP “At The Edge Of Time,” not to be confused with the eponymous album by Blind Guardian. This EP is only available as a limited 10″ vinyl edition or as a digital download. Five songs, including three new ones, a cover and an alternative version of an already released album track serve as an appetizer for the next regular studio album. 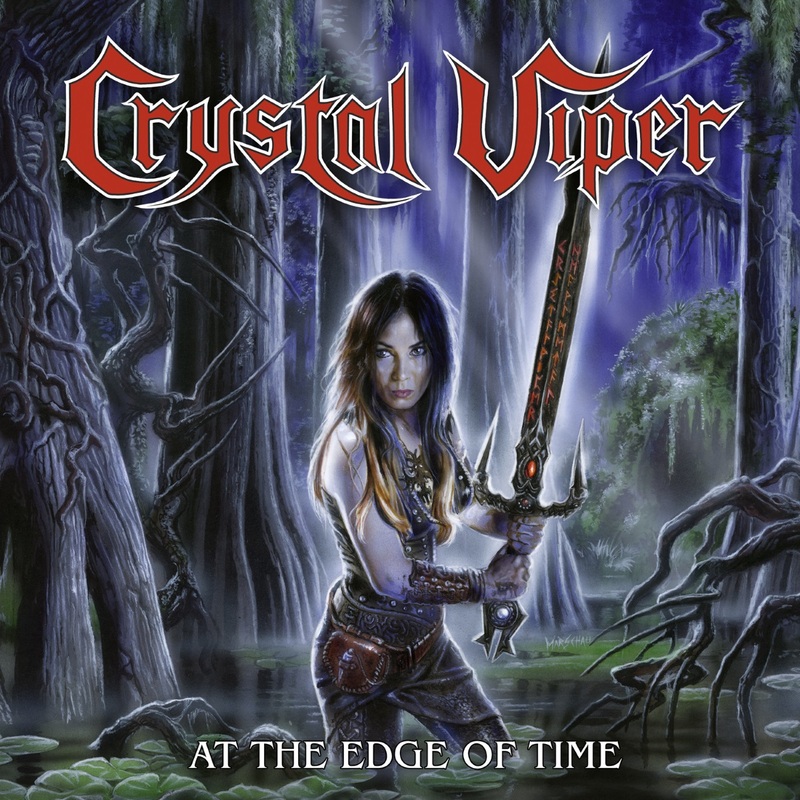 The title song “At The Edge Of Time” bangs out of the speakers in a good Crystal Viper tradition. In addition to Marta’s voice above all the propulsive drumming dominate. Speed Metal, but with some contemplative moments. “When The Sun Goes Down” was for me the best song of last year’s album. Thanks to the keyboard melodies, the song sounds a bit more playful here. And the intro provides 20 seconds more playing time. Anyway, such an amazing song always works! Subsequently, Marta presents the title song of the EP again, this time in her native language. Why not, Sabaton did it when they released their album “Carolus Rex” in 2012 in both English and Swedish. Also, on this EP you don’t miss a ballad. In “When Are You”, the singer accompanies herself on the piano. With the beautiful singing it runs hot and cold down your back. And also, a cover song is a good tradition of the Polish, this time Crystal Viper decided for “Tell Me Why” (single 1983) of the British NWOBHM Legend Quartz. “At The Edge Of Time” is a round thing. Speed blasts, metal anthem and hard rock covers, all of this can be found here. Of course, there is growing anticipation for the next studio album of the band. And dear Marta, one song in your native language would certainly suit this one.